Items recovered during execution of search warrant in Farley Square. Thursday evening around 9:25 p.m. Officers of the Portsmouth Police Department (PPD) assisted by the Portsmouth Municipal Court Probation Department in a home visit at 1212 Farley Court, Apt. E, observed in plain view digital scales with powder residue, torn plastic baggies with residue, hypodermic syringe and loose ammunition. Officers secured the residence and the occupants while they obtained a search warrant. 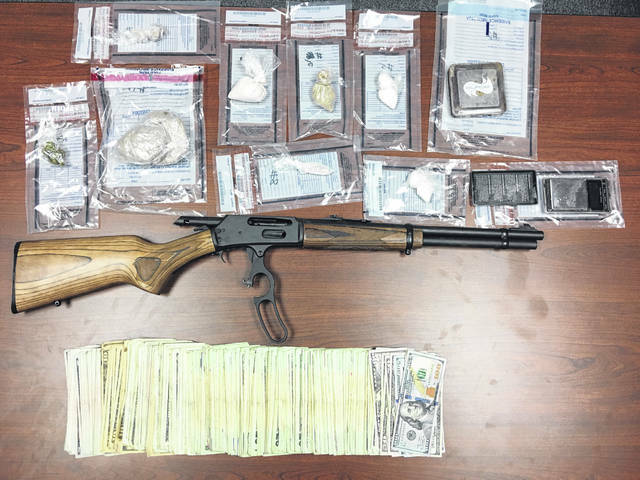 Upon executing the search warrant of the residence, officers located a large amount of cash, 260 grams of suspected heroin and a loaded rifle. 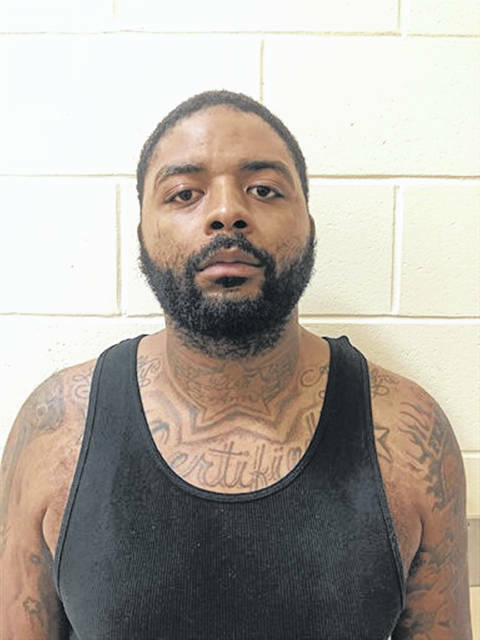 The operation was completed by Portsmouth Police Patrol Division, Street Crimes Unit, Southern Ohio Drug Task Force, Portsmouth Municipal Court Probation Department, and the Portsmouth Fire Department. The narcotics will be sent to BCI&I for testing. Mr. Benton has prior convictions for aggravated robbery and is currently on parole. Mr. Smith has a prior conviction for burglary and is currently on federal probation for conspiracy to traffic in heroin. Additional charges will be considered when this case is presented to the Scioto County Grand Jury. 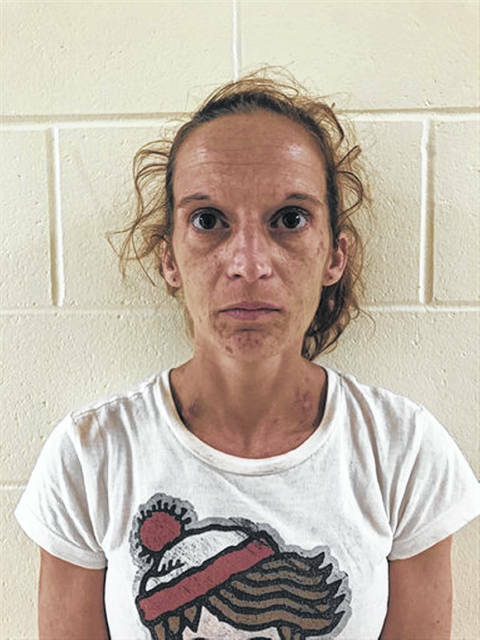 Anyone with information about this case or other drug tips are encouraged to contact the drug hotline at 740-354-DRUG or contact the Portsmouth Police Department at 740-353-4101.
https://www.portsmouth-dailytimes.com/wp-content/uploads/sites/28/2018/07/web1_ARREST.jpgItems recovered during execution of search warrant in Farley Square.